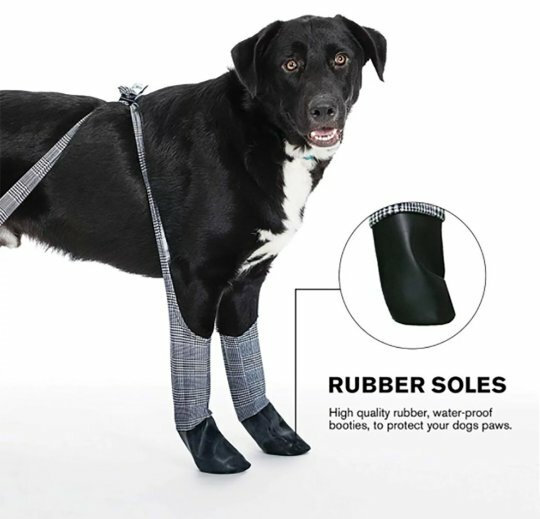 Apart from the odd boot or coat, dogs have very little protection from the elements. That means, when you’re walking little Patch or Poppy or Peach, they could walk on broken glass or into dangerous chemicals. It also means that if you forget to wash Bella or Buttercup or Buttons before they get indoors, they can track all manner of foul things through the house. 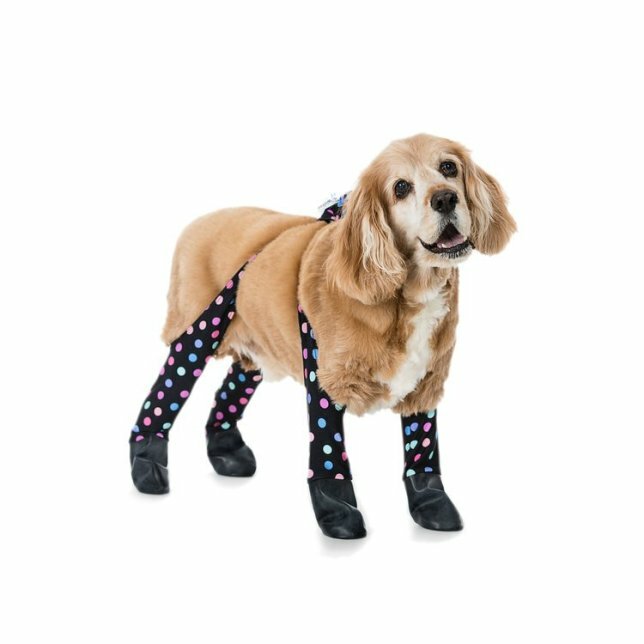 OR, you could get them some of these stylish and practical dog leggings from Walkee Paws, and there is no more danger to Fido or the upholstery. They were designed by New Yorker Lisa Baronoff for her Cocker Spaniel Toffee.